General Data Protection Regulation or GDPR compliance 2018, have overhauled the enterprises procedures and the way of handling data. It acts like a policy that is having power of changing organizational data behavior. European continent is now covered with world’s strongest information security policy, named as GDPR. It is a mutually agreed agreement that came into its major existence on May 25, 2018. This agreement was issued with the purpose of modernizing laws, protecting the personal information of European citizens. GDPR Compliance 2018 is having capability of altering the use of customer’s data in a business or public sector industry, in modern way. It boosts ups the rights of citizens and renders them with full authority to control their data. General Data Protection Regulation applies for all entirety of Europe but, each of its countries is having the power to impose their own set of changes. The government of UK originated a new Data Protection Act in the year 2018, which was replacing the Data Protection Act of the year 1998. This new UK protection act was just passed before the major existence of GDPR compliance. Several controversies took place after the official announcement of this law. The purpose of this law was to secure Cybersecurity researchers whose work is to reveal the misuse of personal information. 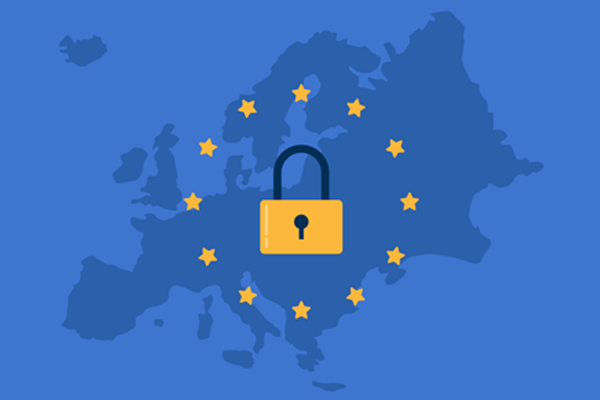 The official site of EU GDPR states that the legislation is passed to harmonize the data privacy laws all around Europe. It also includes the measures for strong protection on customer’s data and rights for end users. Tons of alternatives are present for business as well as public bodies to handle personal records in this new General data protection regulation 2018. Well, GDPR was published in European Union Official Journal in May 2016 and then, came into force on May 25, 2018. It clearly means that two years were given to business entities to prepare themselves for this compliance and adopt new changes. What’s Different in GDPR Policy 2018? During the announcement of GDPR enforcement, one of the hot topics was about the penalty for non-compliance. The components of general data protection regulation have been the capability for regulators for fining enterprises, which do not enforce this standard. If a business is unable to process individual’s records in an appropriate manner, fine might be imposed. If it is required and does not have a GDPR Data Protection Officer, undoubtedly the target has to pay the fine. In case, security breach due to the improper enforcement of GDPR compliance takes place, fine could be there. It is true that the enforcement time duration for GDPR is passed but, cloud data protection is still an evolving beast. It is being observed that enterprises are unable to become a complete ‘GDPR Compliant’. A lot of hard efforts need to be done because hackers are at their best in performing Cybercrimes. General data protection regulation 2018 renders all that is needed to achieve strong security in a business cloud environment. Then, why to roam around here and there when GDPR itself as a standard is offering all those practices that are needed to protect customers data online.